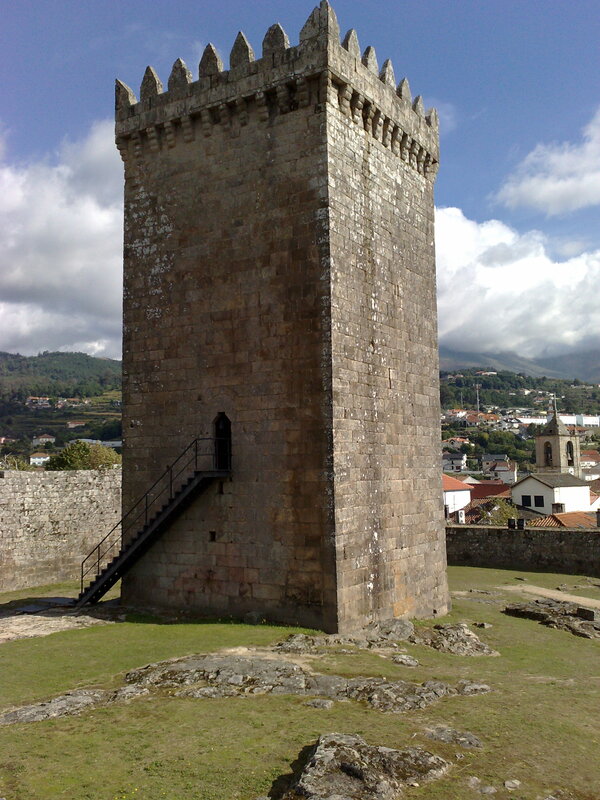 The tower construction began in 1170 under the order of D. Afonso Henriques – the first King of Portugal – who also issued a charter with laws, privileges and obligations for Melgaço, creating the municipality. The tower has a quadrangular shape isolated in the middle of a wall circle. The walls have two doors and are reinforced with three smaller towers with prismatic battlements. In the XVII century, with the developments in artillery, some adaptations were made with the construction of bastion lines around the medieval area. Nowadays the interior of the Tower is a museum open for tourists. Inês Negra is part history, part legend. During the years between 1383 and 1385 there was a period of anarchy and civil war in Portugal due to the death of the King “D. Fernando I” without a male heir. The ruling rights were contested between “D. João, Mestre de Avis” and the ruler of Castile (nowadays: Spain) “D. Juan I”. Melgaço was under Castile influence when in 1388 “D. João” decided to reconquer it with his army. 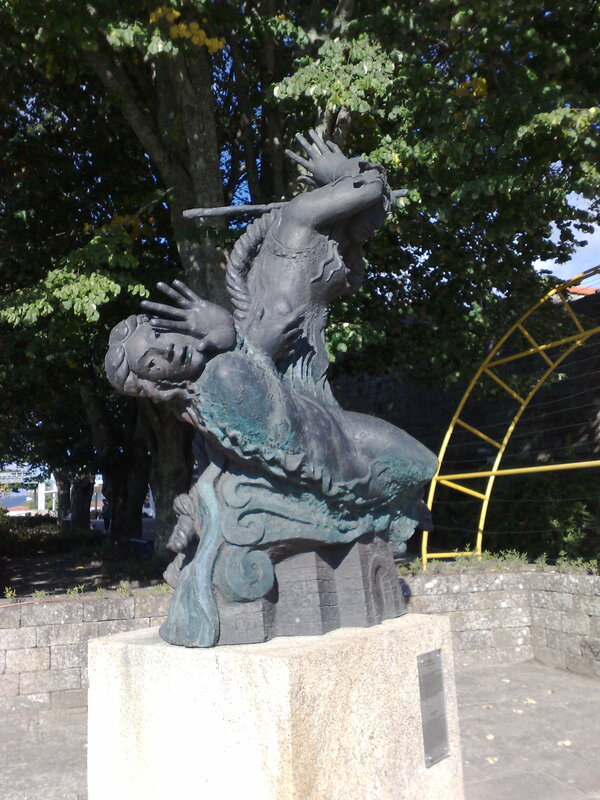 However the fate of the town was in the end decided in a single fight between two women in front of both armies: Inês “Negra” (supporting the Portuguese cause) versus “Arrenegada” (supporting the Spanish cause). Both women were from Melgaço, Inês was nicknamed “Negra” among the population due to the dark tone of her skin; “Arrenegada” was also a nickname and means something like “the hated one” for her support to Castile. Inês Negra won the fight and the Castile’s army left Melgaço the next day. This entry was posted on October 30, 2009 at 2:27 am and is filed under Melgaço. You can follow any responses to this entry through the RSS 2.0 feed. You can leave a response, or trackback from your own site. Yes the food was very good at Chuck’s Steak House in Santa Barbara. I went ahead and added that to my post. Thank you for leaving a comment. I like the photos the size they are in this post – re your poll! I haven’t had any issues with your blog taking a while to load. Just curious if the portuguese alvarinho is easy to find abroad because i think most of the brands sell out their production in Portugal and portuguese emigrant comunities alone. Love castles too. Lots in England. These are great shots.